It’s almost Spring in Southwest Michigan, and that means color everywhere! Carpets of little blue and white flowers will appear in lawns, the daffodils and tulips will pop up, and forsythias will sprout their brilliant yellow coats. What better time to plan a trip that includes some of the best gardens in the state? Now is the time to seize the opportunity and discover the diversity of plants as you sample the greening “season” of Michigan. Fernwood Botanical Garden and Nature Center, located in Niles, features 105 acres in the beautiful St. Joseph River Valley. Fifty native species of wildflowers bloom in spring for a glorious celebration of the season. In Kalamazoo, the beautiful W.K. Kellogg Manor House on Gull Lake includes a 32 acre estate with green house, and authentic Dutch windmill, and several beautiful gardens. The entire estate in now part of the Kellogg Biological Station. Guided tours are available. Voyager’s Inn is an intimate Bed and Breakfast in Three Rivers Michigan that is centrally located to these blossoming gardens. Voyager’s is a showcase of the Victorian Era’s fine elegance (with modern amenities). Bouquets of roses or seasonal flowers can by added to your overnight getaway. 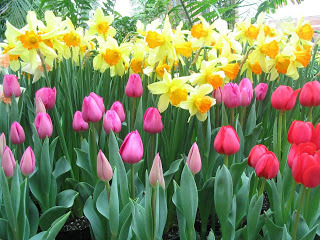 Tulip Time is coming to Holland May 4-11, 2013. Over four million tulips are expected to be in bloom and lining the streets of downtown Holland for this annual 8 day celebration of Spring. The popularity of this event makes it one of the 20 best attended festivals in the world. 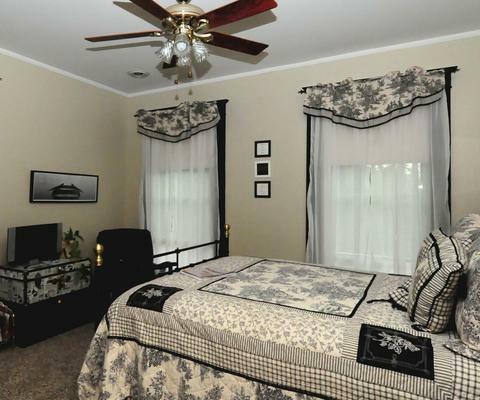 Lodging is at a premium during Tulip Time, so make your arrangements early. J Paule’s Fenn Inn in nearby Fennvile is very near the festivities and offers pet friendly accommodations. This entry was posted in Things to Do and tagged J Paules Fenn Inn, Things to Do, Voyagers Inn by admin. Bookmark the permalink.